Airline locator numbers have many names (confirmation numbers, reservation numbers, booking codes, and record locator numbers, to name a few), but they are simply just the numbers issued by the airlines to uniquely identify each reservation. Airline locator numbers are usually six characters in length, and often feature a combination of both alphabetic and numeric characters. Knowing your individual locator number can help expedite the process of checking into your flight or dealing with issues regarding your reservation. The locator numbers are unique to each guest reservation, but only for a given period of time. The numbers are reused over time. This is because once the associated reservation has been cleared, the identifying numbers are no longer needed. Airline locator numbers should not be confused with passenger name records (PNR) which are numbers that contain personal information for a passenger and the itinerary information for either an individual passenger or a group of passengers traveling together (for example, families traveling together would have the same PNR). Most airlines will automatically generate and display your record locator numbers on-screen once you initially purchase your tickets. However, sometimes airlines might wait to assign these until the customer receives a confirmation email, so don't worry if you don't see it immediately upon completing your purchase. You can also call an airline representative and ask for your record locator number if you cannot find it in your email. If you're checking-in at the airport (either at the electronic kiosk or at the counter) once you receive your boarding pass, your record locator will be on the ticket. At this point, though, you should not need to remember or use your locator number unless there is a problem with your trip. It's advised that you write your record locator down when you receive it from the airline. Some passengers will write the code down on a bookmark, in their phones' notes section, or on slips of paper kept in their wallets for easy access, while others commit the six-figure code to memory instead. 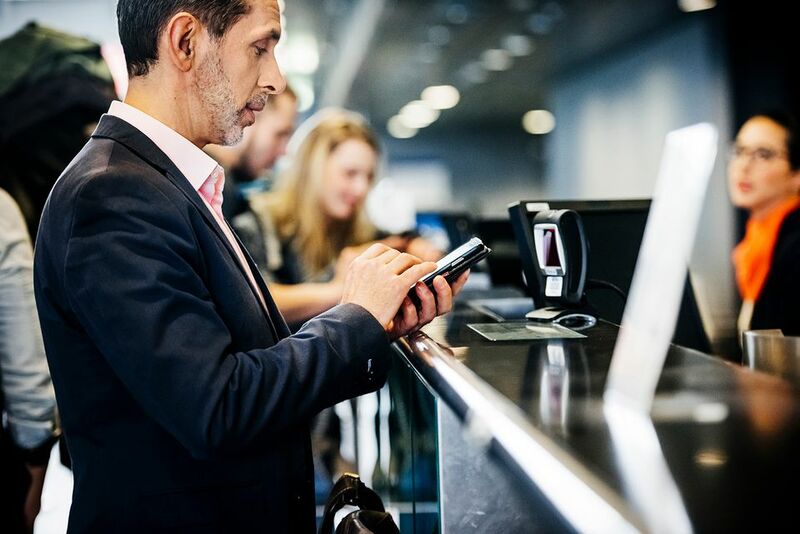 Whichever method you decide to use, knowing your record locator number before you arrive at check-in will make the entire process go a lot quicker and smoother. As always, you should arrive at the airport with plenty of time before your flight in case you experience any issues when retrieving your boarding pass, checking your luggage, navigating a backed up security line, or any other sticky situations that may arise while traveling. For most domestic travel with checked bags, you should allow at least an hour and a half before your flight to check in, while for international travel, it is recommended you arrive two to three hours before the airline's boarding time to avoid rushing or even a missed flight. Looking to find cheap airfares? These websites can help.